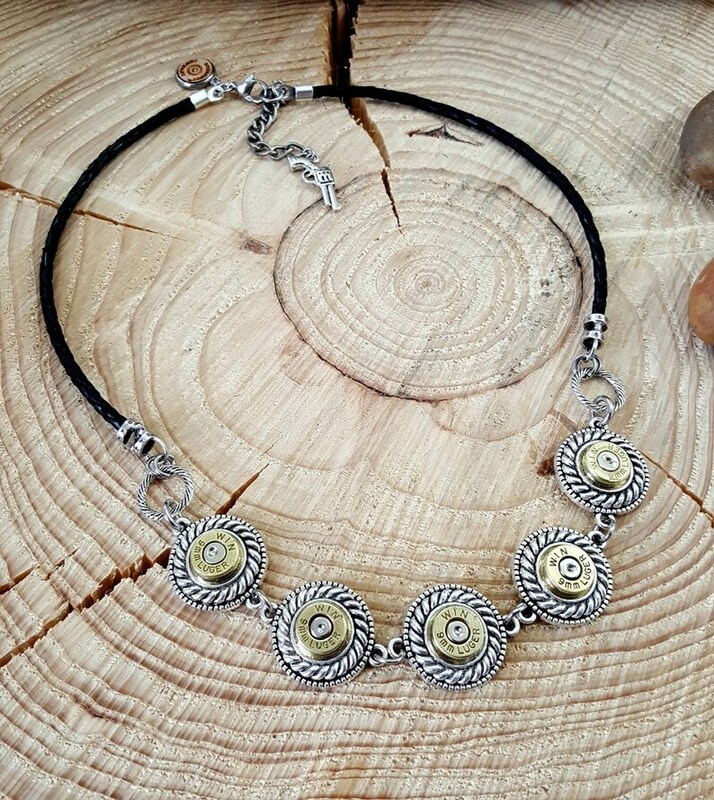 Bullet Jewelry - 9mm Rope Bezel Leather Bib Style Bullet Necklace - Statement Jewelry - BEST SELLER! for Five Years! 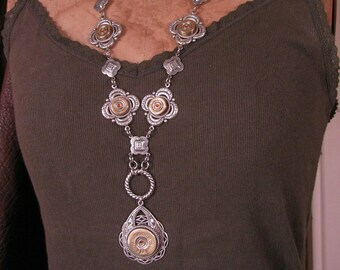 Bullet Jewelry - Statement Necklace - Long Length Southwest Style Concho Look Shotgun Casing Necklace - BEST SELLER - 5 Years! 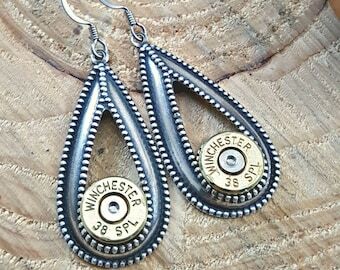 Bullet Jewelry - Shotgun Casing Jewelry - Brass 12 Gauge Shotshell Toggle Medallion Mixed Metal Necklace - BEST SELLER for 4 Years! 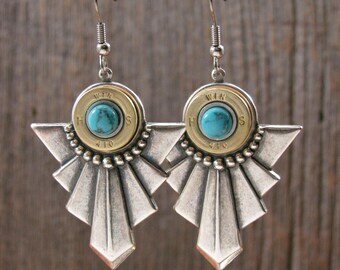 Shotgun Casing Jewelry - Bullet Jewelry - 12 Gauge Shotgun Casing Mixed Metal Winged Cuff Bracelet - BEST SELLER for SIX Years! Bullet Jewelry - Bar Necklace - Bullet Necklace - Long Rectangular Bar Pendant Bullet Necklace from SureShot Jewelry - BEST SELLER! Bullet Jewelry - Antler Necklace - Petite Double Flanked Antler & Bullet Necklace - Antler Jewelry - BEST SELLER - A SureShot Exclusive! Bullet Jewelry - Bullet Necklace - 9mm Rope Bezel Leather Bib Style Bullet Necklace - Statement Jewelry - BEST SELLER! Stylish bib style necklace that features five 9mm brass bullet casings creatively set in detailed rope bezels that are in turn mounted to sawtooth edge settings that lay wonderfully across your neckline. Black braided leather cord completes the look. Necklace has a nice lobster closure and includes a 2 inch extender chain finished with our signature pistol charm. Wear this piece every day, to work, going out or even for a formal occasion. 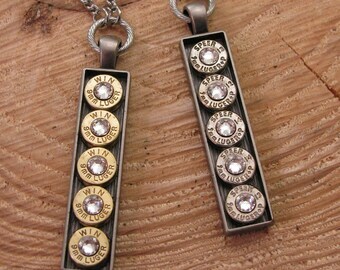 This hot caliber necklace will be a go to necklace in your jewelry box! Brands vary. Shown are Winchester brand 9mm casings. SureShot™ is the largest collection of bullet and shotgun casing jewelry on the market and has been for the last five years. Our bullet designs and shotshell designs are the best as far as selection, design and most of all quality. 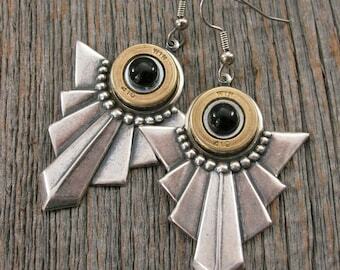 All of our components are made in the USA and our jewelry completed handcrafted in our studio. 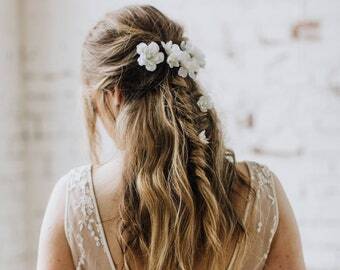 See the myriad of jewelry & accessories we offer exclusively from SureShot™ Jewelry - the largest, oldest and only patented designer collection in the country. Since 2010, we have been creating and growing our collection that is offered at retailers, gun shops and fine boutiques nationwide. 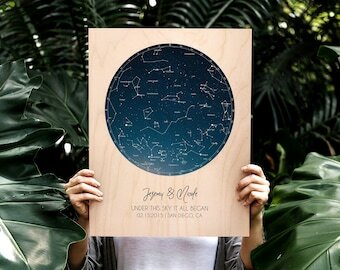 Visit our separate (and very cool!) website to see the entire line, including a full collection of jewelry and accessories for both men and women. Originally a St. Louis based company, our collection is now handcrafted out of Quincy, Illinois. We pride ourselves on using only only USA made components, chain and leather. All SureShot™ jewelry and accessories arrives in our branded packaging - uniquely mounted, wrapped and gift boxed. 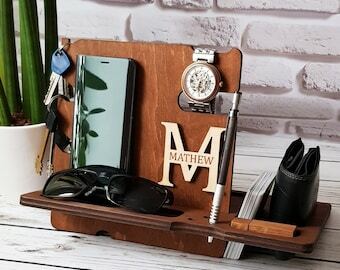 We don't skimp on presentation...it's as important as the gift itself in our book! WANNA KNOW MORE? 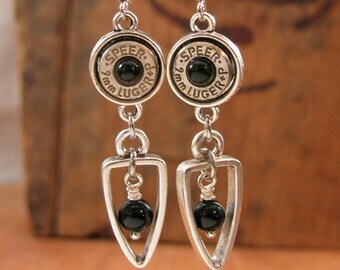 Go to our fan page at www.facebook.com/sureshot jewelry, become a fan and get in on future specials and promotions too! Follow us on Twitter: @sureshotjewelry, Instagram @sureshotjewelry and on Pinterest too: sureshotjewelry. SureShot™ is a trademark of The Key of A, LLC. ©2019. 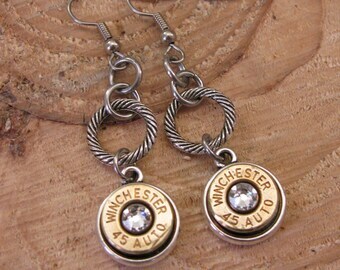 The Key of A, LLC d/b/a SureShot™ Jewelry. All Rights Reserved. Titles, Tags and Descriptions are part of The Key of A, LLC’s intellectual copyright and protected by DMCA provisions.